You guys! I know I'm an excitable person and say lots of nice things about lots of nice places, BUT this is hands down my FAVORITE place I have EVER STAYED! And I never would have found it if our friends Sara and Frank hadn't planned their wedding there. In fact, we already had our one big summer trip to Italy all planned out when the invitation to the wedding rolled in. So what did we do? Moved our Italy trip of course and combined it with the wedding in Portugal! 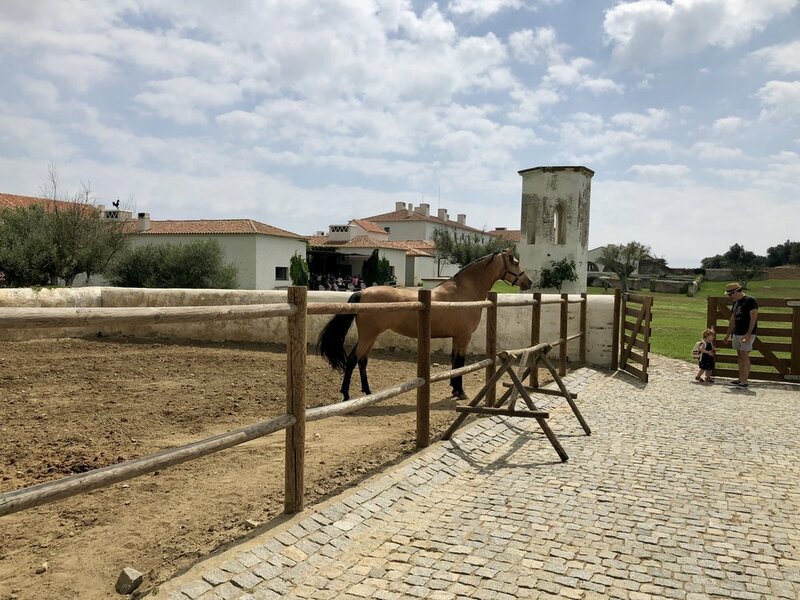 And it was worth every penny because as undeniably beautiful as Italy was, our stay at Sao Lourenco do Barrocal ended up being the highlight of our whole trip! Because we were already staying a week in Italy (and sadly my vacation days are numbered), our stay in Portugal was only a short four days. So before I get into my love for Barrocal, a big shout out to other parts of Portugal. (Woot woot!) About five years ago, two girlfriends and I took a road trip to Lisbon followed by the Algarve. The coast of Portugal is insane with beaches and hidden little coves all over the place. 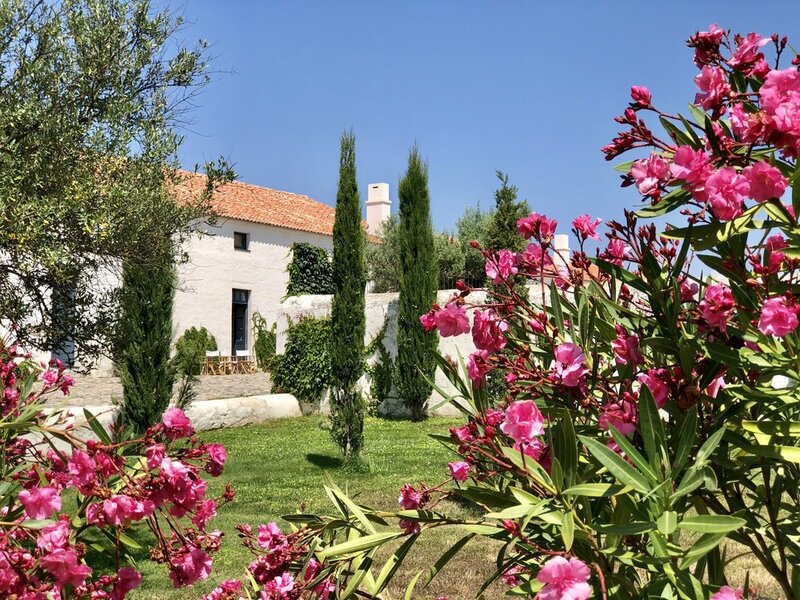 If you have the means and the time, I would ideally recommend an entire trip to Portugal where you do Lisbon, the Algarve, and then stay at Barrocal in Alentejo. But for this trip, we had a wedding to get to! From Florence, we flew to Lisbon and arrived quite late, so I booked a room at the Star Inn, right next to the airport. It's a perfectly nice hotel with a solid breakfast included. Not sure how long it's been around but the rooms were modern and clean. Just a heads up, the rooms have a see-through glass shower and toilet pretty much right there in the same room as the bed (with only an optional draw curtain in between) so if you’re shy or traveling with friends, this may not be the hotel for you. All in all, though, a good spot if you want to be as close as possible to the Lisbon Airport. Taking a tip from the bride and groom, we used Amoita car rental. Amoita made pick up and drop off very convenient (plus the guy who dropped off the car looked like Vin Diesel) and the next morning, we were off to Sao Lourenco do Barrocal which was an easy two-hour drive east from Lisbon. As we pulled up, a sudden sense of calm washes over you. 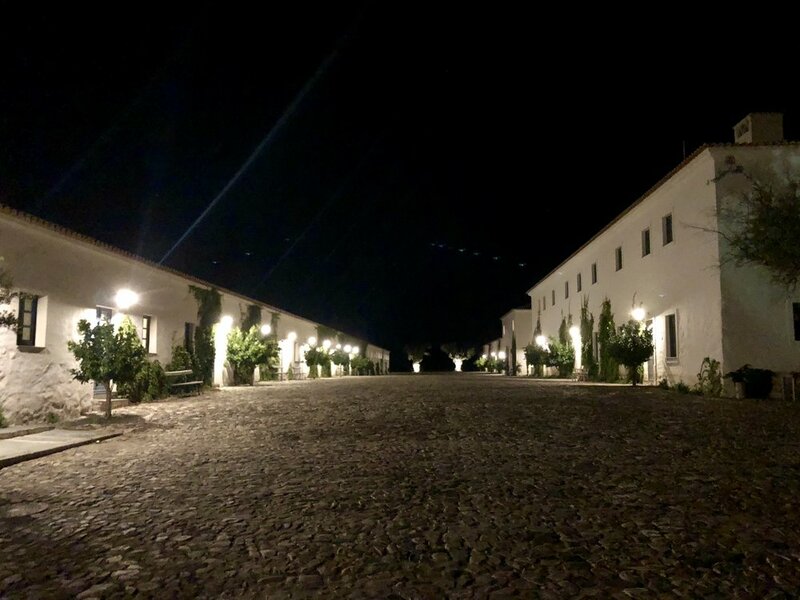 Sao Lourenco do Barrocal is a gorgeous farming estate that has been in the same family for over 200 years (I'll get to the 4,000 year old history later). The story goes that the estate was taken over by the Portuguese government in the 1970s during the revolution. There it sat abandoned for 40 years until the family was able to reclaim it. 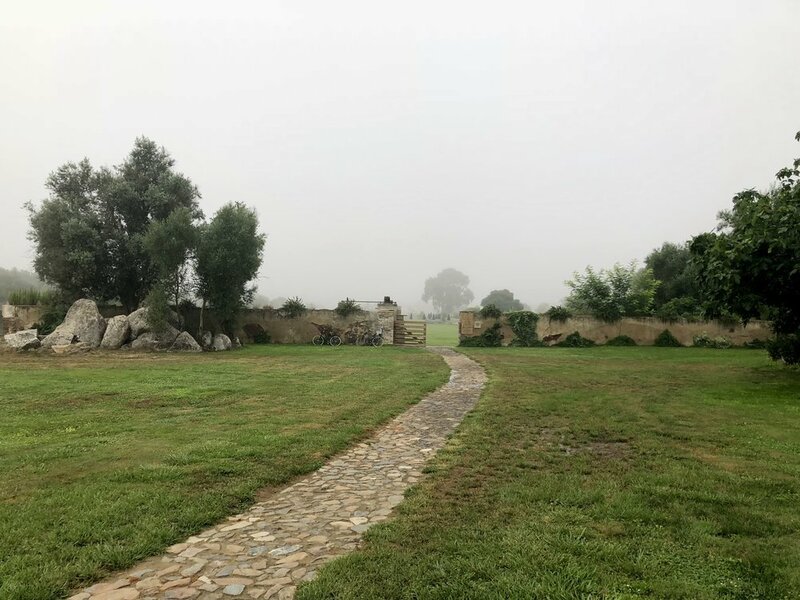 José António Uva (8th generation) has been lovingly restoring this place ever since, and the results are a beautiful farm retreat. The design is deceptively simple and luxurious. We checked into our room and it was truly lovely. It began with an entryway where you can hang up your coat and sit on a bench to take off your shoes. To the left of the entryway is a HUGE bathroom with a big soaking tub and gorgeous stone shower (and bathroom scale, ugh). 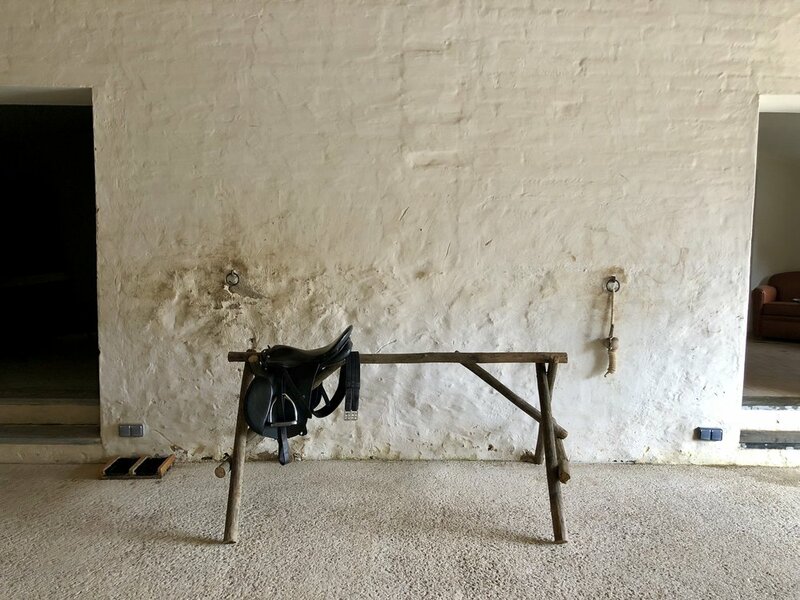 The bedroom was also expansive with perfectly curated modern, yet rustic furnishings (complete with extra rolled up wool blankets in case it gets chilly at night), and behind the bedroom was an outdoor seating zone overlooking the beautiful countryside. While the room was great, what impressed me most were the personal touches. For example, I must have mentioned when booking that we had a two-year-old with us. Without asking for anything special, the room had been set up with a crib (with beautiful linens), a stool in the bathroom so Sally could reach the sink, and a even a toddler potty seat ready to go! It was so thoughtful and they nailed it perfectly with her age. These details and so many more made us feel instantly comfortable and relaxed! Once we were settled in, we set off to explore the property. How? Why, we just took one of the bikes they have lying around for guests to use (some with kids seats!). No need to rent them or even sign them out, just jump on one and away you go! As we rode around I started to wonder, "What's that smell?" I'll tell you. It's rosemary! They have rosemary bushes planted all along the buildings, and man oh man, it smells good. All in all the grounds are gorgeous. There are countless old structures, huge lawns, fruit trees everywhere, and even an amazing vegetable garden. After a short bike ride, we hit the pool. The main pool is great, complete with comfy daybeds to lay on and waiter service. There is a second brand new kids pool as well that wasn’t quite finished when we were there, but almost ready to go (I guess we'll just have to go back and check it out.) 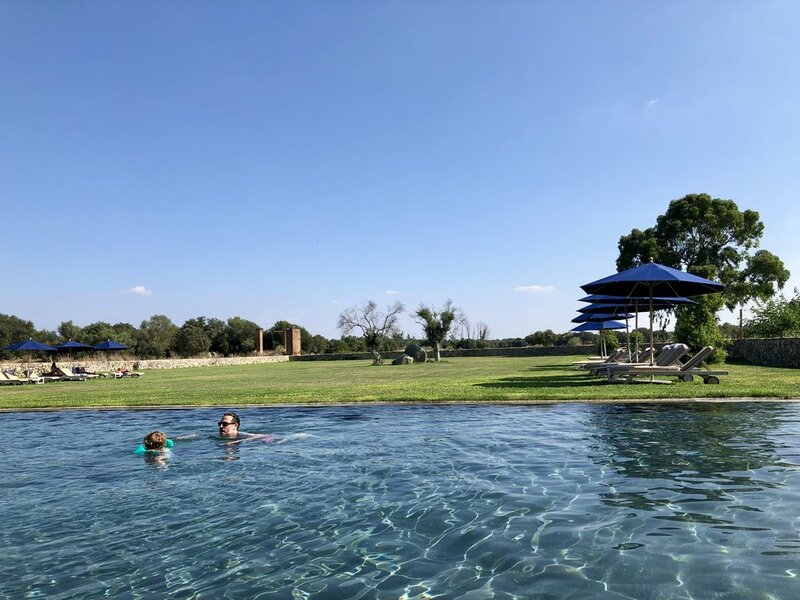 which brings me to the thing that struck me most about Barrocal… I've never seen a hotel balance being kid-friendly while also somehow being a relaxing place for couples without kids, yet somehow they pull it off. Perhaps it’s because the grounds are so large, but despite feeling like an adult resort, all around were hidden places for kids to be kids. There is a play room where young ones can draw, play with blocks, and watch tv. There is also a play zone outside with wooden animals that kids can crawl around on. On their website they even talk about a whole treasure hunt you can have set up. Sally wasn't quite old enough for that, so I didn't even ask how it works, but we’ll definitely be trying it next time we come! Before we get to the wedding itself, here are a few more amenities we took advantage of throughout our stay. The breakfast is nothing short of ridiculous with a spread that includes real honeycomb that drips fresh honey into a bowl for you to scoop up! I ordered a cappuccino and it tasted out of this world. I has some sort of indulgent risotto for dinner (twice). The food overall is phenomenal. Did I mention that they have tons of olive orchards where they make their own olive oil? I bought some in their store and it's in a perfect little bottle with a bird on it (btw, the store is SUPER nice and Sally got an adorable straw hat there!). They also have a winery here, which I toured (without Sally). The tour is the normal stuff where they show you were the grapes are processed. What is not normal is how lovely the tasting part is. They have glasses on the table, along with different breads, and their home made goat cheese and olive oil. I wish we hadn't bought so many souvenirs so that we could fit more bottles of wine in our suitcase to take home! You may or may not know, but I was an equestrian growing up. Horses were my best friends and I rode every day. I hadn't been on a horse in 3 years between being pregnant and then being all-consumed by having a kid (plus, Brooklyn isn't the bucolic farm land it once was), but at Barrocal, I was finally able to ride again! Barrocal has a stable with about 8 horses, and I was able to book a three-hour ride one of the mornings we were there. My horse was sweet and game, not one of those horses that you get stuck with on trail rides where they will ONLY follow the horse in front of you. The ride ended up being just me and the horse trainer who was chatty and clearly had a true love of horses. 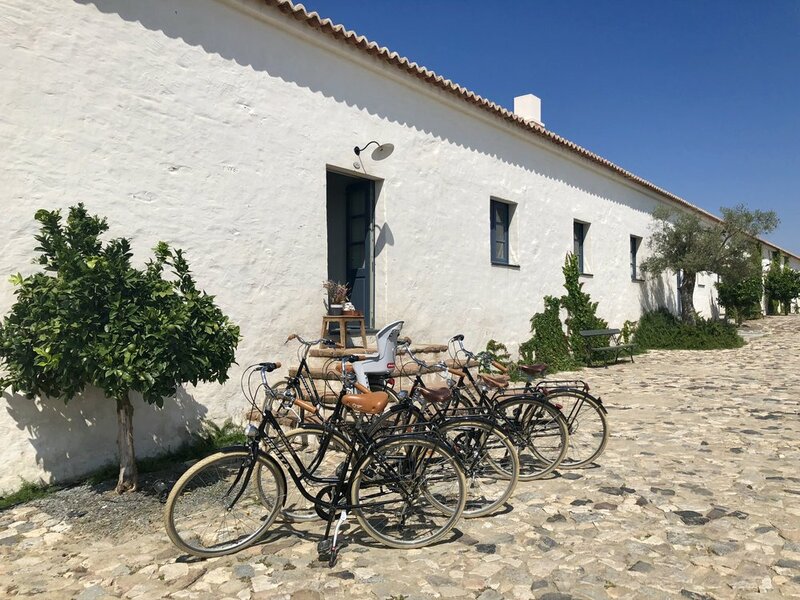 We rode around the property, through their vineyards, and then up an old Roman road to the medieval village of Monsaraz. Riding through a tiny town up to a castle was pretty amazing. As we trotted, I couldn’t help but imagine I was a medieval knight. The views from this hilltop town were jaw dropping. (More on this town later when Alan, Sally, and I drove there to check it out). Finally, on our last evening, Alan, Sally, and I decided to take a self-guided walking tour they offer just outside the main compound. This farming estate is steeped in history. I'm not talking about the 200-year history of the owner’s family, I'm talking about the 4,000-year history of the area. There are a number of megaliths on the property from thousands of years ago when people first came to Europe. There are also a number of 2,000-year-old olive trees just sitting around (no big deal). 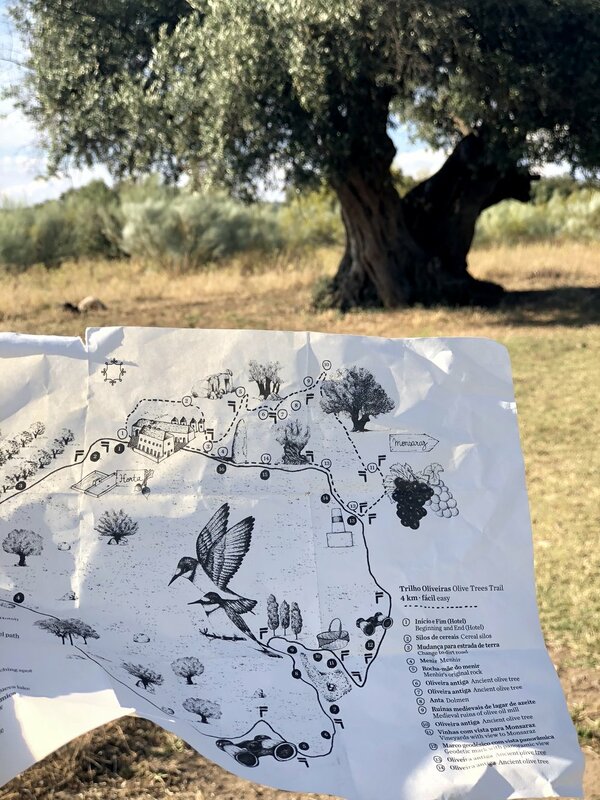 The tour (guided by an adorable hand-drawn map) takes you along a trail where you pass by these ancient olive trees, monoliths, vineyards, and just other pleasant outdoorsy plants. We did the walk about an hour or so before sunset so that it wasn't quite so hot and magic hour was just setting in. Following the map was a bit confusing (you need to look out for the trail markers, which it turns out Sally was far better at than Alan and I) but you’re never at risk of actually getting lost. In fact, the vague map ended up being kind of fun, making the whole hike feel a bit more like an Indiana Jones-style treasure hunt. It truly felt like a special time as a family! Finally, there is also a lovely spa. With all of the activities to do, I didn't make time for any spa treatments, but can only imagine they are divine. We did find time to take a quick soak in the spa’s private cedar hot tub. It's free of charge, but they request that you book it to ensure that you have it all to yourself without interruption for relaxation purposes. The three of us climbed in and soaked our worries away… as if we had any worries at this place! As I had mentioned, our friends’ wedding is what prompted the trip to Barrocal. And boy, what a wedding it was! The ceremony was truly lovely, taking place under an old olive tree. The reception that followed was in a private area overlooking a gorgeous sunset. In fact, despite only some of the hotel guests being there for the wedding, the setting of the reception made you feel like you had the entire place to yourself! The bride and groom chose a live Fado band for the wedding, and despite Fado being melancholy by nature, in this setting, it just felt perfect (and didn’t stop Sally from dancing). The entire wedding felt like you were whisked away in some sort of dream! If you are considering a destination wedding (destination weddings can be good to keep the size down! ), I’d say this could be the ideal place! 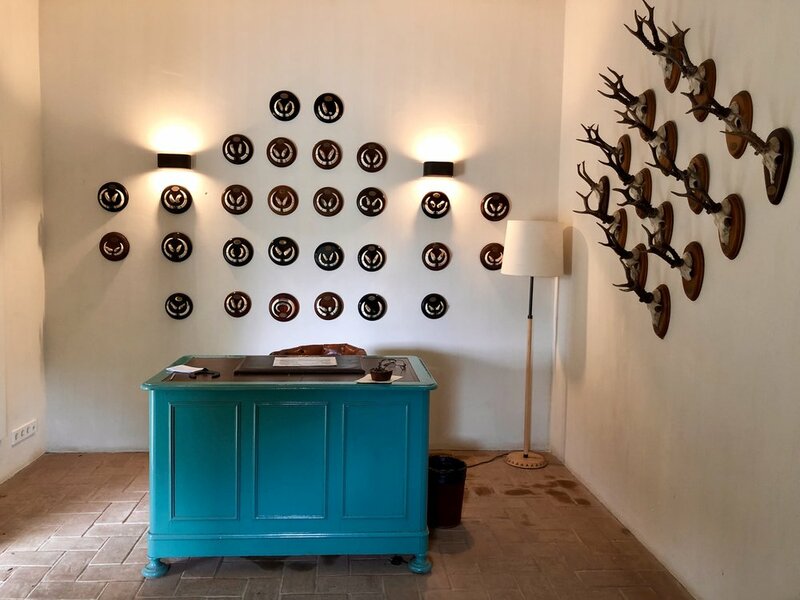 The attention to detail at Sao Lourenco do Barrocal is BEYOND! 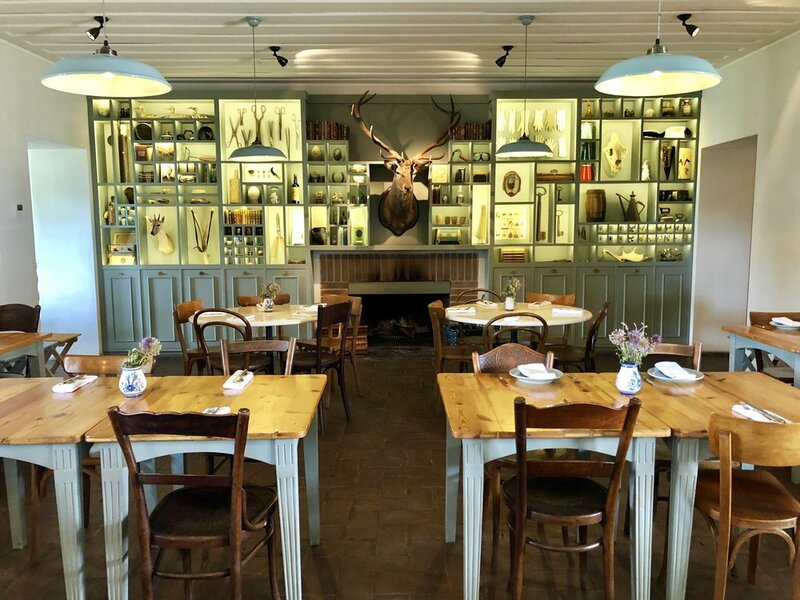 From the charming decor made mostly of family relics (I mean, look at that back wall in the dining room) to the amenities to the service to the food to just the grounds themselves there’s a simple elegance at every turn that makes it’s all too easy to get lost in ones own imagination. I could not recommend this place more. We’re definitely coming back! Believe it or not, despite staying 3 nights at Sao Lourenco do Barrocal we also managed to see a few more sites in Portugal during our stay. 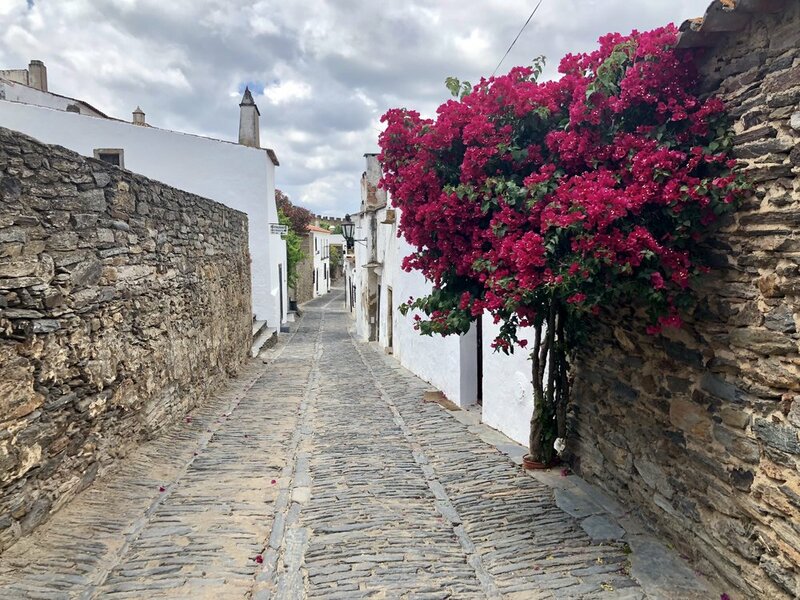 While it can feel hard to leave the grounds of Barrocal, there is the PERFECT day trip a mere 10-minute drive - the medieval walled town of Monsaraz (the town I rode to on my horseback ride). 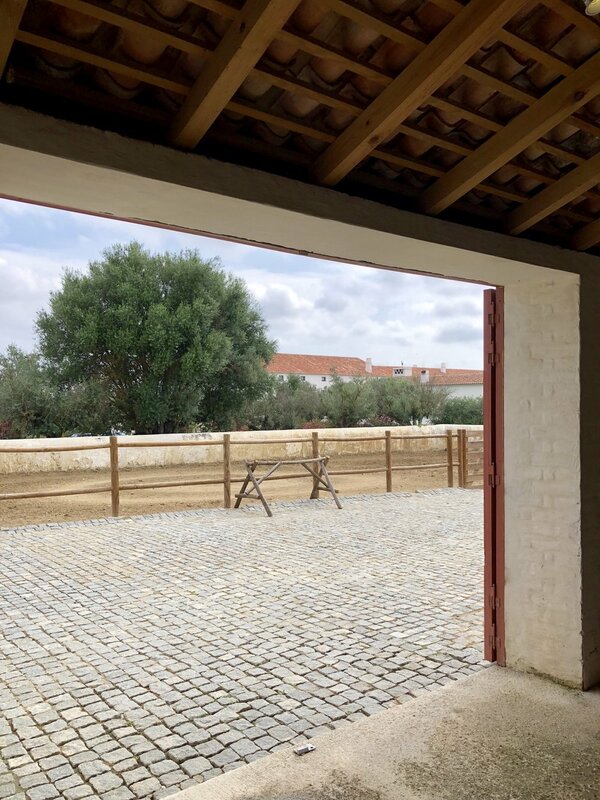 It offers spectacular views of the Alentejo region (and Spain!). Monsaraz is one of the oldest villages in Portugal and is as picturesque as they come. To get there (if you aren’t on horseback) you can drive up the hill and park just outside of the city walls. The town is small and easy enough to tour on foot. The castle is from the 14th century and is impressive to walk around, again doling out those views! The inside has a bullfighting ring that is still used during their yearly festival. For such a small village there are some really excellent shops there! I fell head-over-heels for one in particular that sells handmade blankets, rugs, and pillows. This is when I started wishing I had an empty spare suitcase with me to stuff! With limited space, I did manage to buy two wool blankets to bring home! The town has other cute shops with local canned fruit, pottery, and nice Portuguese knick-knacks! There had been talk over the wedding weekend about a "Portuguese Stonehenge", which I was immediately interested in. I have never been to the real Stonehenge (just Foamhenge, a fun roadside attraction in Natural Bridge, Virginia) but from what I've seen of it in National Lampoon's European Vacation and Spinal Tap, I knew I'd be into anything even close. Almendres Cromlech is a megalithic complex outside of Evora. It's one of the largest group of menhirs (prehistoric upright stones) in Europe! These stones are placed in a circular pattern and were used as a gathering site for rituals. A number of the stones had carvings on it, which I thought were a little tough to make out. It’s worth seeing if you have the time, but I didn't loose my mind over it. Perhaps it feels more spiritual at sunrise? We also made a quick stop in the charming town of Evora itself (which is the capital of the region) for a meal and a brief walk around. We had lunch at Chateau Du Crepe right inside the walls of the city. It was a perfect spot for Sally because they had a big room for kids to play in with tons of toys, books, and even a play circus tent. The streets of Evora are beautiful too with whitewashed buildings with yellow trim. We had spent most of the day at Barrocal so, unfortunately, we missed out on a lot of what Evora has to offer. It was only after we we got back Stateside that I realized there is an epic Roman temple in the middle of town, Templo de Diana. Well, just something else to plan on seeing next time! 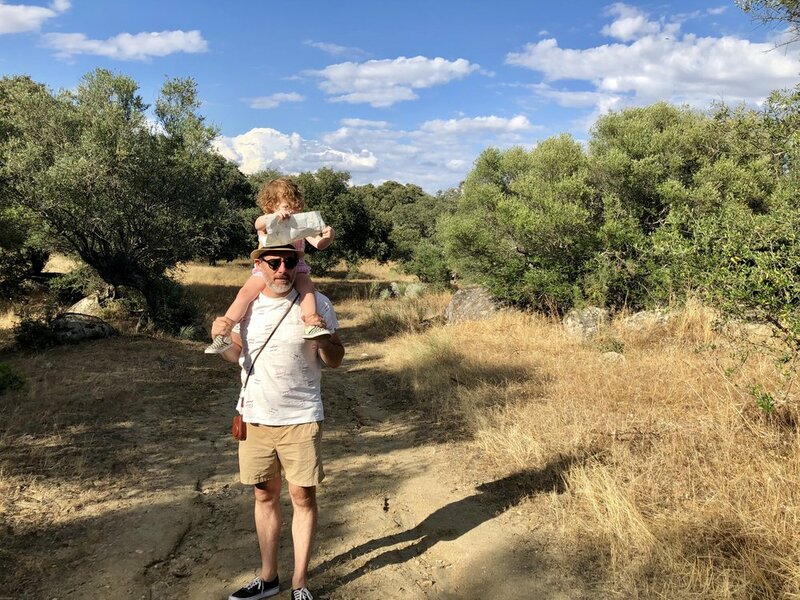 Because we were soaking in all that country air before returning to NYC, we actually had very little time in Lisbon (22 hours to be exact), but we saw what we could. We booked a spot in the trendy area of Principe Real which was filled with cute boutiques. Even on the short walk from our parking garage to the hotel I found myself saying, “Ooooh! I want to go to that store! Ooooh, and that one too! Oh, wait, can we pop in here real quick?” It was a great location where we could walk to restaurants and wander into the Barrio Alto neighborhood for charming windy cobblestone streets. 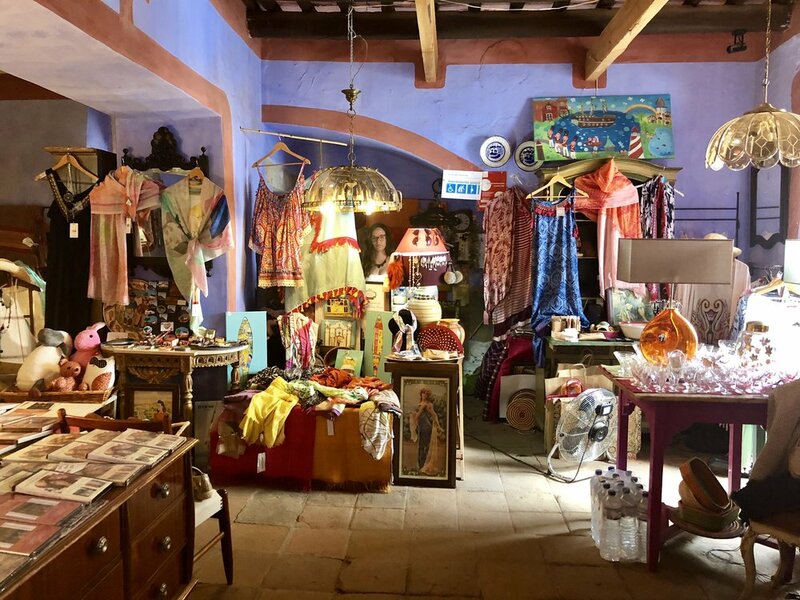 While not in Principe Real proper, a nearby must-visit is one of the oldest shops in Lisbon, Sapataria do Carmo. In the same spot since 1904 and still run by the same family, they sell gorgeous handmade mens and womens shoes. The shop is tiny and they also have another one right next store, so check out both. I ended up with two pairs of loafers. Finally, on my previous trip to Lisbon with my girlfriends we had a bit more time to explore so I will offer a few tips from that trip. As you walk around Lisbon, you will notice beautiful tile on the buildings. It’s known for this stuff. Definitely be sure to check out the Museu Nacional du Azulejo (National Tile Museum). The building itself is the old Convent Madre De Deus, which is from the 1500s, so that’s cool! At night we went to hear Fado music in the birthplace of Fado, the historic Alfama neighborhood — another charming hilly neighborhood that has those little streets. Overall, Lisbon has a lot going on and it’s all against a beautiful pastel backdrop! But if you go to Portugal, GO TO Sao Lourenco do Barrocal!!! You will NOT regret it! While I know I went on and on about Barrocal, just some more photos of a quiet foggy morning walk that Sally and I took around the estate. I can’t wait to go back to this dream!